For more than twenty-five years, the United States and Iran have been diplomatically estranged, each characterizing the other not only as a political adversary, but also as devious, threatening, and essentially evil. 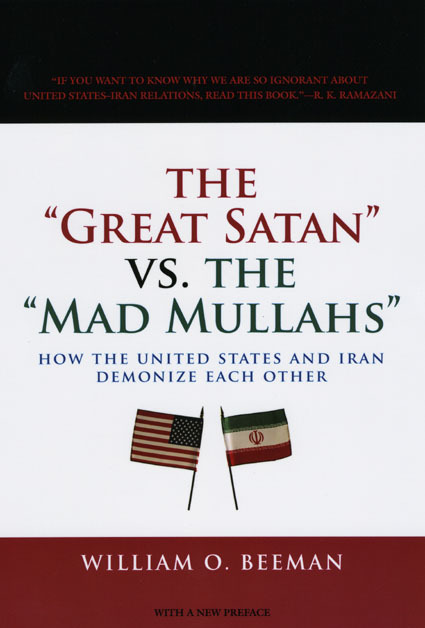 According to William O. Beeman’s provocative book, The “Great Satan” vs. the “Mad Mullahs,” such demonization is a self-fulfilling prophecy, as both countries have embraced exactly the policies and rhetoric that would particularly threaten or insult the other. Drawing on his experience as a linguistic anthropologist, Beeman parses how political leaders have used historical references, religious associations, and the mythology of evil to inflame their own citizens against the foreign country, and proposes a way out of this dangerous debacle. "Drawing on his experience as a linguistic anthropologist, Beeman parses how political leaders have used historical references, religious associations, and the mythology of evil to inflame their own citizens against the other foreign country and proposes a way out of this dangerous debacle."